WELCOME HOME! Step inside & be impressed as the open foyer w/vaulted ceiling welcomes you to this stunning 1722sq.ft. fully finished 2 Storey. Highlights of the home include a large living room offering a tile surround gas fireplace with TV niche above, spacious kitchen w/stainless steel appliances, corner pantry, breakfast bar & gorgeous maple cabinets. Just off the kitchen is a good size dining room w/garden doors leading to an oversized two tiered deck & fully fenced/attractively landscaped backyard. The combined 2pc bath/laundry combo complete the main level. Situated on the upper level you'll enjoy 2 generously sized JR bdrms, 4pc main bath & a large master bedroom w/walk in closet & 5pc ensuite & jetted tub. 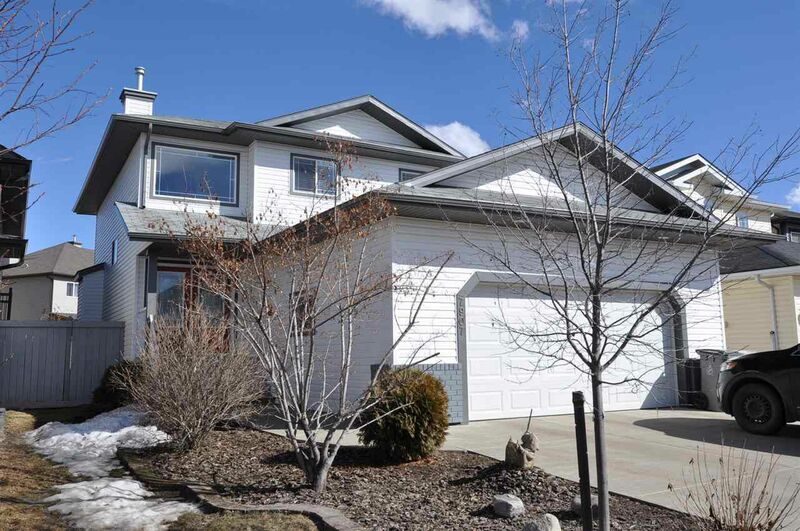 Large windows bring in loads of natural light to the fully finished lower level that offers a terrific family room w/corner gas fireplace, 4th bdrm, 3pc bath & storage room. Completing the package to this perfect family home is an oversized, heated double attached garage. Plus central air!